Francois-Marie d’Arouet, pen name Voltaire, was an eighteenth-century philosopher, writer, and activist who played a leading role in the Enlightenment. He was known for his wit, philosophical sport, and defense of civil liberties, including both freedom of religion and free trade. Born in 1694 to a well-to-do public official, Voltaire enjoyed an elite upbringing and an excellent education, and from a young age he aspired to be like his idols Moliere, Racine, and Corneille. After a brief foray in a public service career, Voltaire quickly integrated himself into the literary circles of Paris and enjoyed its libertine culture. Upon accusation of defamation, Voltaire sojourned to England, where he spent three years in exile. During this period, he discovered the English philosophers Locke and Newton and began running in the same circles as his English contemporaries Jonathan Swift and Alexander Pope. 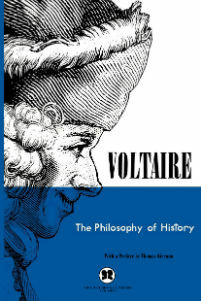 Voltaire was a prolific writer and produced works in almost every literary form, authoring plays, poetry, novels, essays, historical and scientific works, more than 20,000 letters and more than 2,000 books and pamphlets. He was an outspoken supporter of social reform, despite strict censorship laws and harsh penalties for those who broke them. A satirical polemicist, he frequently made use of his works to criticize Catholic Church dogma and the French institutions of his day. Throughout his career, Voltaire continued to develop his philosophical and political ideas while at the same time writing poetry, plays, and essays. Western philosophy, in part thanks to Voltaire and his conception of the “philosophe,” was profoundly changed as the Enlightenment progressed, and Voltaire was continually honored in life and will forever be remembered in death as the greatest humanist thinker of his time.